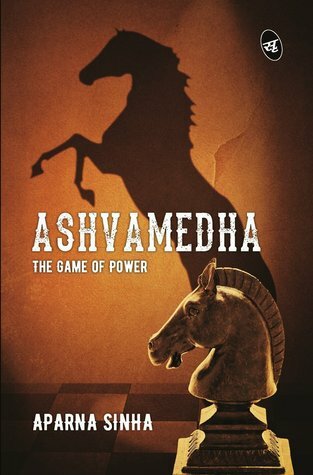 The book Ashvamedha - The Game Of Power is a very interesting story in which you have lots of chances to enhance your level of surprises, being the student of political science, I appreciate the part of politics specially the story touches every part like greed, lies, deceptions, manipulations and corruption. I'm in love with the writing skills of Aparna Sinha. She is the lady with the pen as when she was seven, she started writing. The content of story will awake you for nights until you reach at the climax. Just have a cup of coffee or tea and turn the pages, the more you read, the more you will be involved with the characters. After a long time this book succeeded to create distance from my lappy tab & social media. The entire plot of the story has been built so well, from the cover page to the climax everything is just perfect. As the shadow of the horse is the sign of true power and game of chess is the game of mind so the story united the power and the mind together like two flowers in one garland. The character of Ashwin, the hero of the story has been created so well, the character itself has so many turns and twists. At last I can conclude my word by saying that its worth to spend your time with this book.